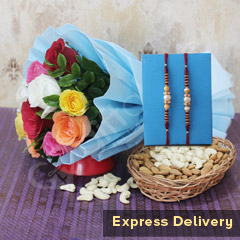 When you are willing to make Raksha Bandhan special for your dearest brothers in the last minute then you must not leave this fabulous option. 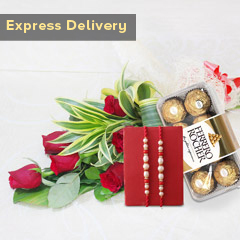 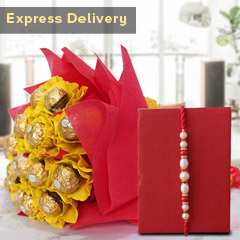 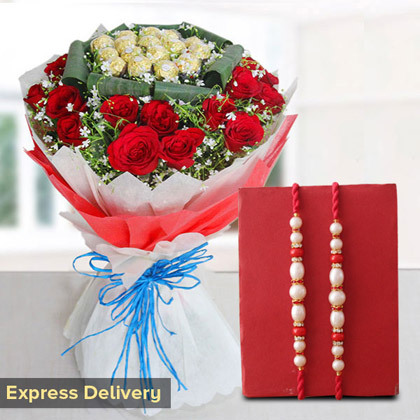 It is offering you a wonderful bunch of 15 beautiful Rakhis and 16 Ferrero Rocher chocolate balls. 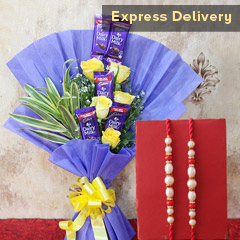 So, hurry and order for it right here!